Our manufacturing sites in Wetteren and Balen, Belgium, have been actively producing small molecule APIs and intermediates for the pharmaceutical industry for more than 40 years. As trusted contract partners and leaders in this field, we are focused on providing high quality manufacturing services, as well as, supporting process and analytical development. Our experienced and knowledgeable chemists and engineers provide our customers the ability to rapidly scale from pilot to commercial product. 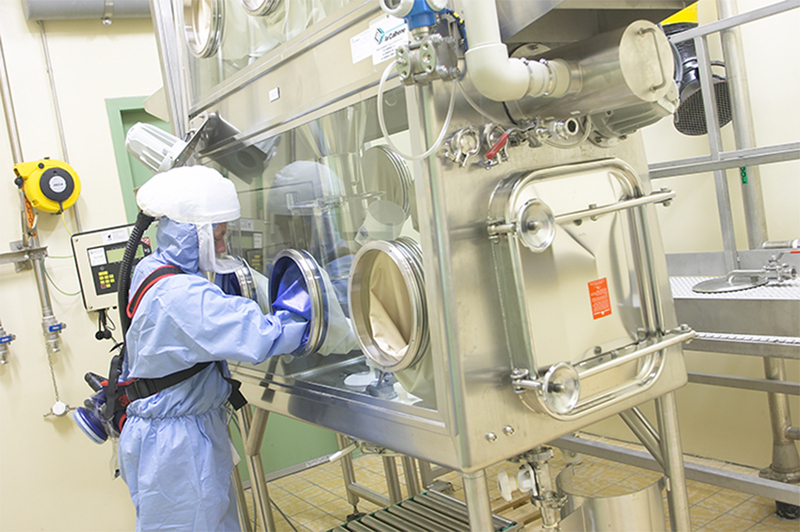 Using innovative technologies and complex chemistries, we provide a high level of quality and service to meet the demands and expectations of today’s pharmaceutical world. As a key supplier of intermediates and APIs, Ajinomoto Bio-Pharma Services is a trusted and reliable CDMO partner, building close relationships with increasing numbers of bio-pharmaceutical companies worldwide. Using innovative technologies, we offer our clients the ability to scale from pilot to commercial supply, saving both time and money. In 2014, we formed a 50:50 joint venture with Granules India, Ltd., creating Granules OmniChem Pvt Ltd. GOC, located in Visakhapatnam, India, provides small molecule API and intermediate manufacturing services for pharmaceutical customers. With a strong focus on quality, continuous improvement and cost control, GOC is fully supported by our Ajinomoto Bio-Pharma Services teams for quality, engineering, tech transfer, SHE, procurement, sales, commercial and management related matters. R&D, analytical development work and pilot scale campaigns are conducted at Ajinomoto Bio-Pharma Services in Belgium, and tech transfers from Belgium to India are managed by Ajinomoto Bio-Pharma Services (Belgium).